* All students pre-K-6 must be accompanied by an adult. * Students should sit in the bleachers during the game and not go onto the field, nor stand under the bleachers, or along the handrails in front of the bleachers. 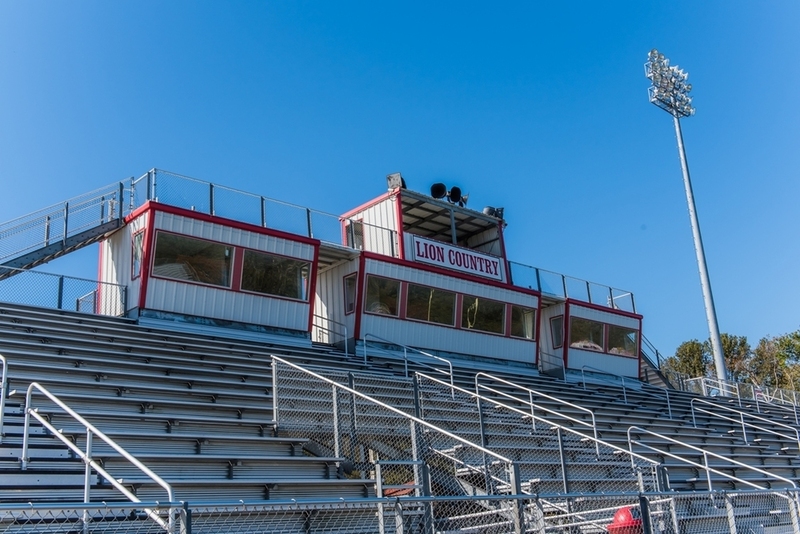 * After visiting the concession stand, students should return to their seat or designated area. * No running or horseplay will be allowed. * Students may not bring any rolling devices (skateboards, hover-boards, scooters, etc.). * Throwing of objects of any kind will not be tolerated (candy, food, bottles, etc.). * Anyone who leaves Lion Stadium and returns will be required to pay for re-entry. * No person is allowed on the sideline or field without an authorized pass distributed by Coach Kelley. * Students must be picked up by a parent or leave promptly following the game. **Note—If a student is removed from the game for any disciplinary reason, the student may be banned from future games. Ticket money will not be refunded if a student is removed from the game. * Being respectful during pregame ceremonies. * Representing Searcy Public Schools in a positive manner. * Being respectful of referees, coaches, players, and the other team. * Cheering for the Searcy Lions.